Alba García de la Chica at the Owl Monkey Project research site in Argentina. 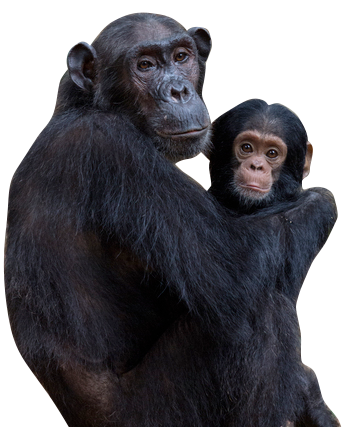 The study of monogamy and pair-bonding have been central topics of anthropological and primatological theory and research. This long-held interest is based on the observation that, regardless of the social or mating system, pair bonds are an integral component of human social behavior, and men and women consistently form special relationships based on persistent emotional attachments. 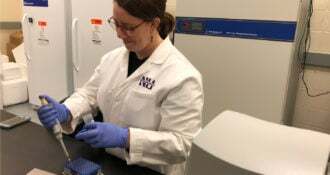 When and how pair-bonding behavior evolved in the hominid lineage remains a controversial topic, but there is consensus among researchers that the appearance of adult bonds in human evolution has played a central role in the formation of early human societies. 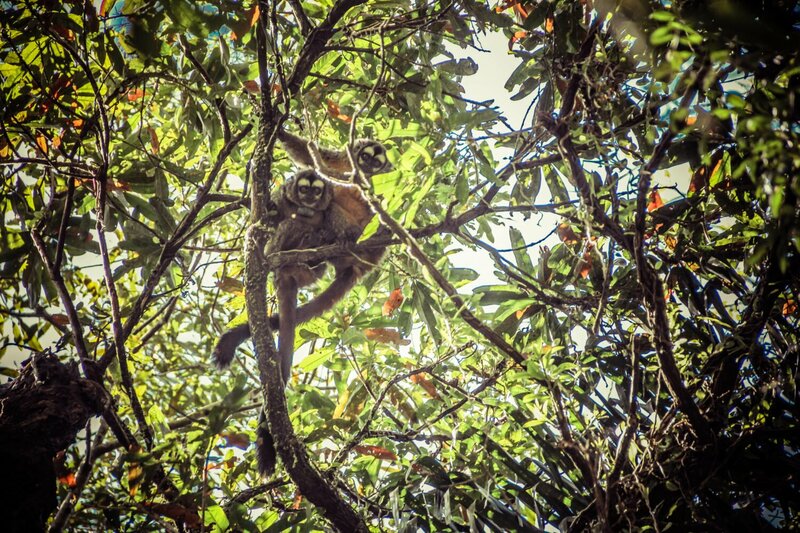 A pair of owl monkeys (Aotus azarae). Over the years, researchers have examined numerous hypotheses that explain the evolution of pair bonds in our lineage. Is it because the presence of males reduces infanticide risk? Or because males and females benefit from cooperative parental care? Could it be that it is the competition between females for resources that is important? At the bottom of all these questions is the need to understand why males, who presumably have much higher reproductive potential, are benefiting more from a relationship with only one of them. To answer these questions, we first need to understand the selective pressures that males and females face. 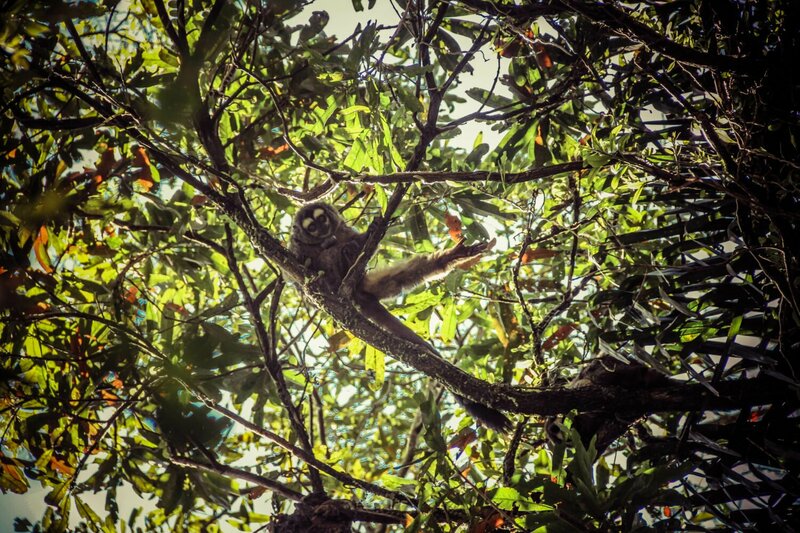 Among monogamous primate taxa, there is an assumed low intensity of intrasexual competition, but in the owl monkey population I study in northeast Argentina (Aotus azarae), both sexes experience intense competition. This is so because in our population both males and females leave their natal groups at around three years of age, becoming solitary “floaters” who look for reproductive opportunities among established pairmates. In 22 years of study, we have never seen two solitary floaters become a pair, and all those who have achieved a reproductive position have done so by replacing one of the resident adults within an established group. Since these replacements occur through a very aggressive process at similar rates for males and females, it suggests that both sexes experience intense intrasexual competition. Thus, to maintain their reproductive positions, resident adults need to guard and monitor their partners in order to prevent behavioral interaction with potential competitors. 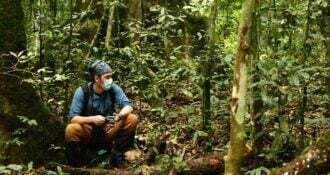 My research goal is to investigate the proximate mechanisms that allow the maintenance of pair bonds and monogamy in a primate species with pair bonded individuals and shared parental care. 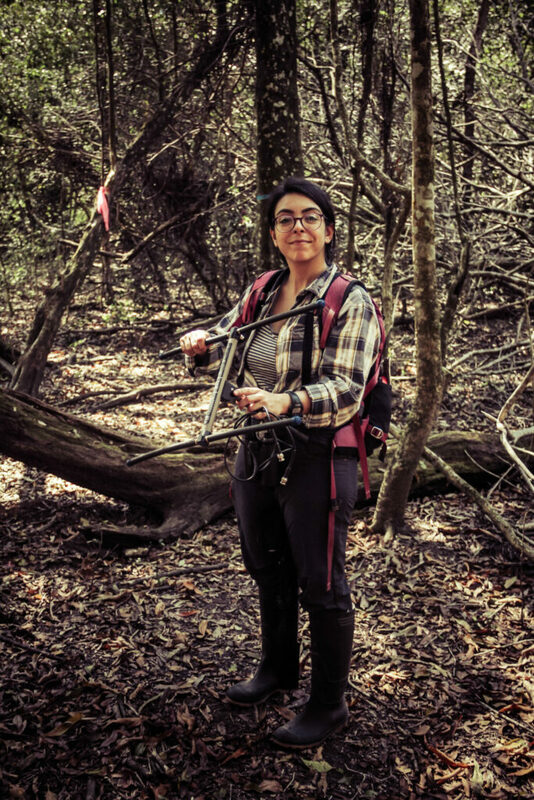 My study will use long-term ecological, demographic and behavioral data in order to evaluate the role that competition between the floaters and the resident adults has in regulating the social and mating system of this taxon. One of the ways in which I am exploring this is through an examination of the role that vocal communication has in space usage and reproductive competition between floaters and pair-bonded residents. In the future, I hope to expand on this project by evaluating how variation in long distance calls may inform hypotheses about mate defense, mate attraction, and territory defense. 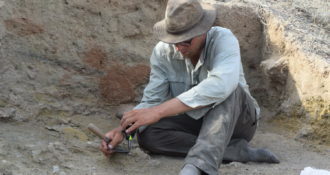 Jonathan Reeves is a Leakey Foundation grantee from the George Washington University who is studying how the environment shaped our movement over the course of our evolutionary history by looking at the stone tools Pleistocene people carried and discarded.